Spenco, a name known for quality foot care products released their new line of shoes for 2012, the Siesta. Additionally, some great colors were added to the Kholo slide sandals and Yumi flip flops. Spenco also came out with a new stylish flip flop for men and women dubbed the Quartet. 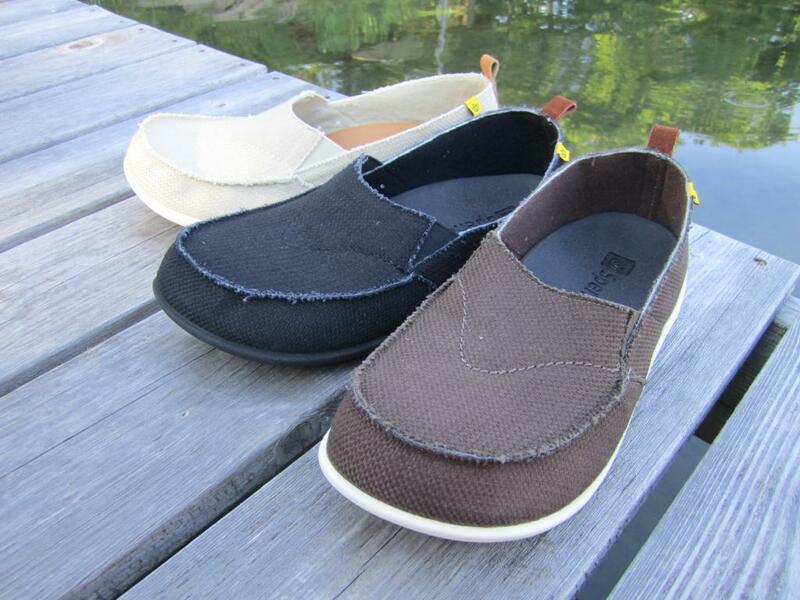 The arch support and cushioning of the new Spenco footwear will give your body a solid foundation. 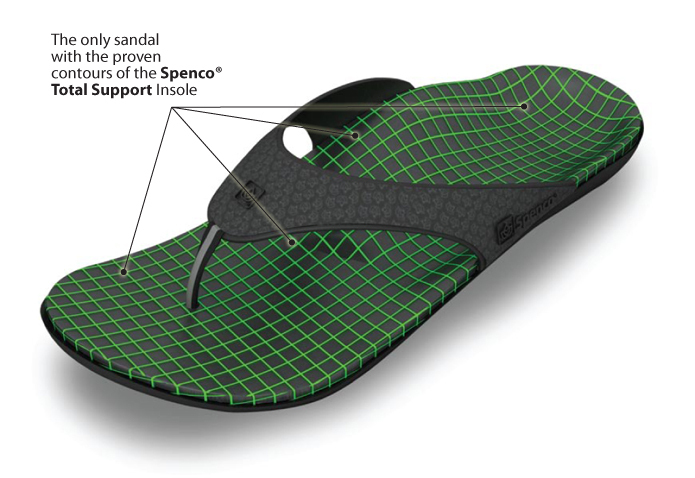 The Spenco Siesta was designed using the proven contours of the highly popular Spenco® Total Support™ Sandal. Spenco added a generous roomy toe box which makes these great for anyone with bunions or hammertoes or for those who want to prevent such a condition from occurring. The heel is shaped to cradle the foot and support the ankle. The removable insole features cushioned arch support which is great for people who pronate, have plantar fasciitis or get arch / heel pain. Spenco claims these are the most comfortable shoes you’ll ever wear! Spenco® PolySorb® Total Support Sandals combine the support and stability of our best-selling Total Support insole with the comfort and simplicity of a flip flop or slide style sandal. Spenco Sandals are perfect for after participating in sports, training or just kicking back indoors or out. Unlike most flip flops or other slides, Spenco® Sandals are designed with orthotic-quality arch and heel support. Superior impact cushioning and motion control helps reduce pronation and supination—common problems associated with flat, slab-style sandals. 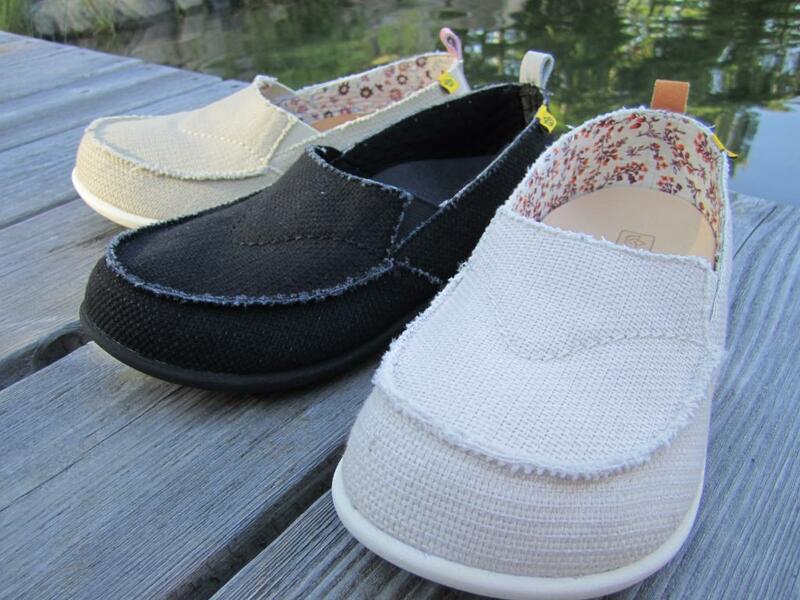 They are great for people with plantar fasciitis (arch/heel pain). The Orthotic Shop is an authorized Spenco deal, ships the Spenco Footwear via 2-3 day shipping, and offers free exchanges if they don’t fit! The Orthotic Shop has been providing customers with a solid foundation since 2005 and is committed to making your feet happy! See the rest of the Spenco lineup at the Orthotic Shop, including the very popular insoles.